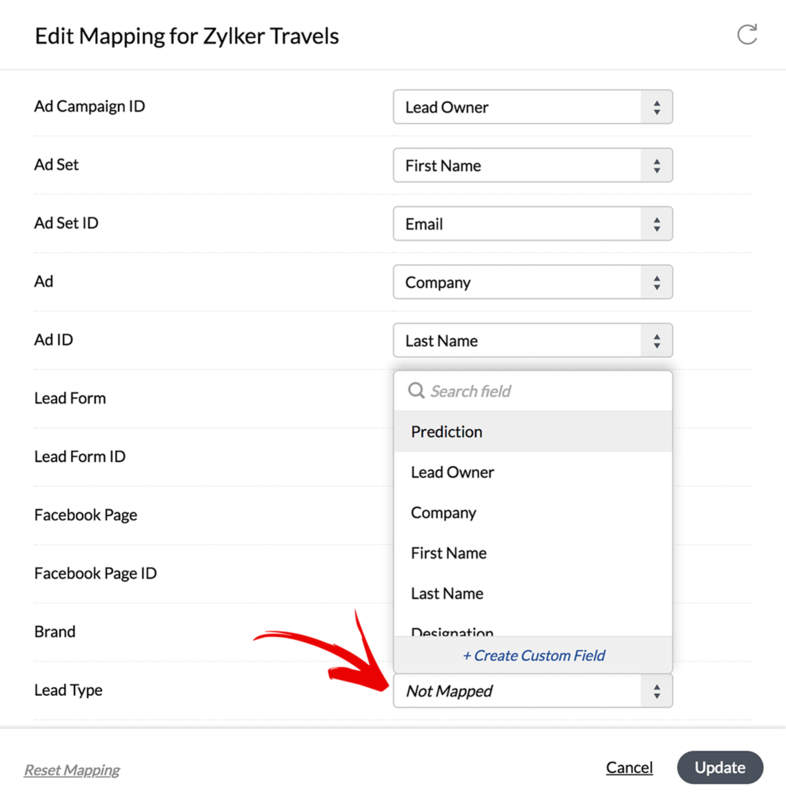 A faster way to capture leads from your Facebook Lead Ads and Forms. 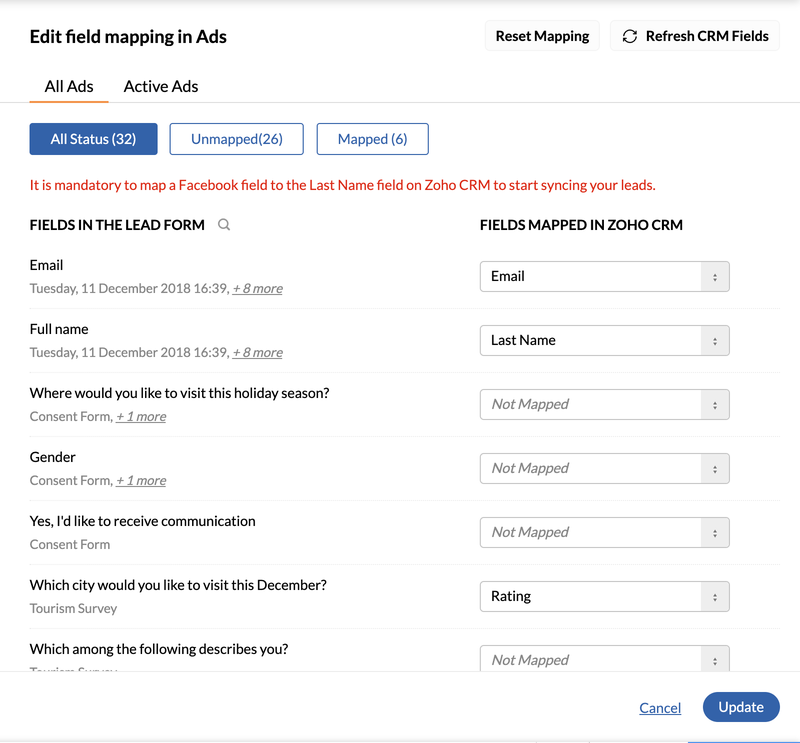 Map your form fields and campaigns, capture leads, analyze ad performance, and easily push lead information to Zoho CRM for your sales team to act on. 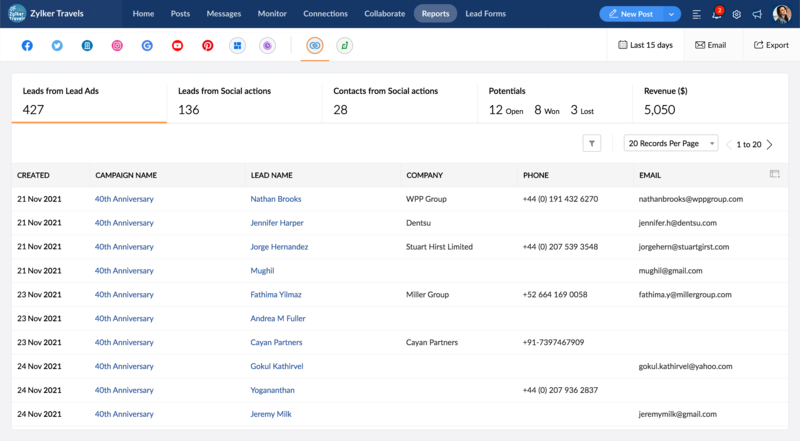 All your leads, in real time. Connect your ad account to run ads directly from Zoho Social. It gets better. Monitor leads in real time, and drive them to Zoho CRM with just-a-click. You no longer have to manually download leads from Facebook! Zoom in on your campaign details. Work out better strategies for your brand by diving deeper into numbers and reports. 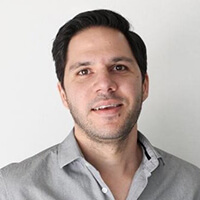 Understand how your campaigns are performing, the number of times people have engaged with them, and which platforms your ads are doing well on. Automatically push leads to Zoho CRM. 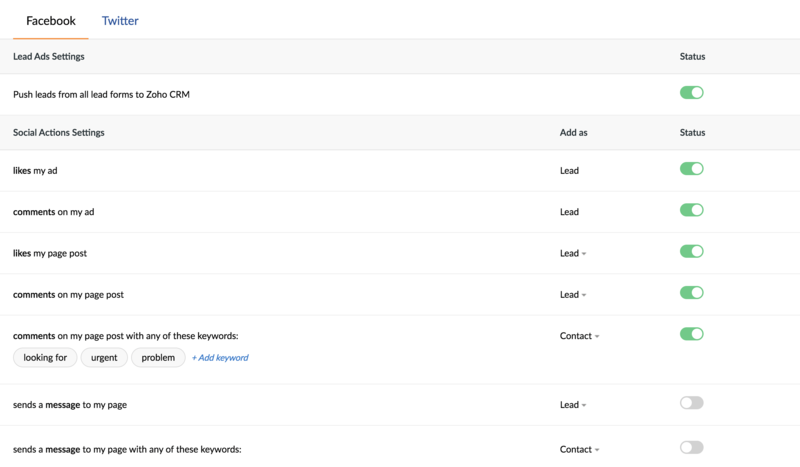 Create and enable workflow rules to send leads coming from Lead Ads to your Zoho CRM account. Convert Lead Ad engagement—likes and comments—into Leads or Contacts. 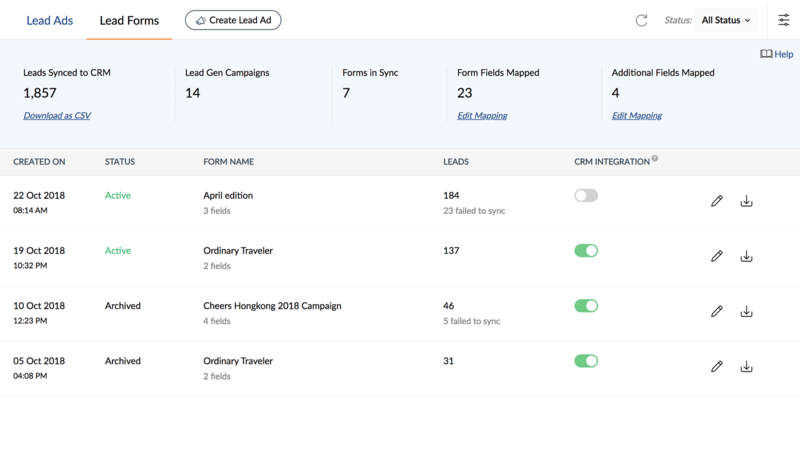 "I like connecting Facebook Lead Ads and their capable Lead forms directly with Zoho CRM. Automation of our lead generation with Social enabled is very useful in day to day management of our sales process, too!" "I love that now I am able to sync all my Facebook leads in Zoho CRM from Zoho Social. 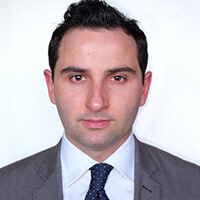 I can import all my leads that leave a comment or send a direct message." 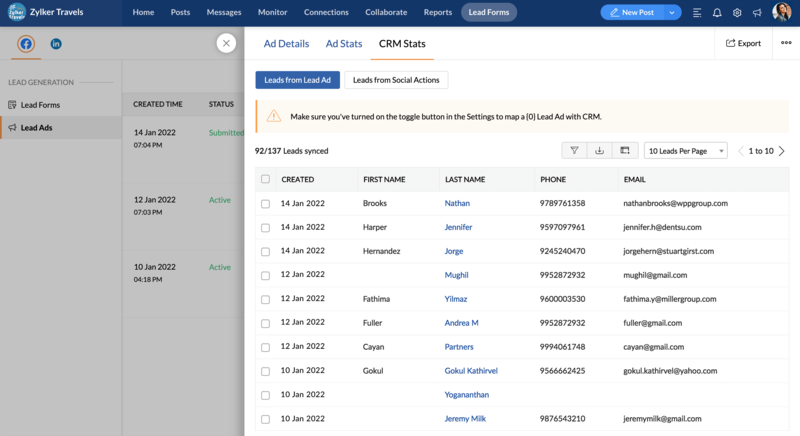 "Zoho Social makes it easy to move leads from Facebook to CRM. 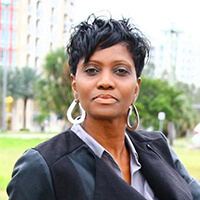 I can easily see who's already a lead on CRM while answering messages and comments on my company's posts." 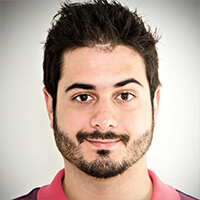 "I love the fact that I can track my Facebook campaigns directly from Zoho Social. You don't have to worry about downloading a CSV file from Facebook for your leads. 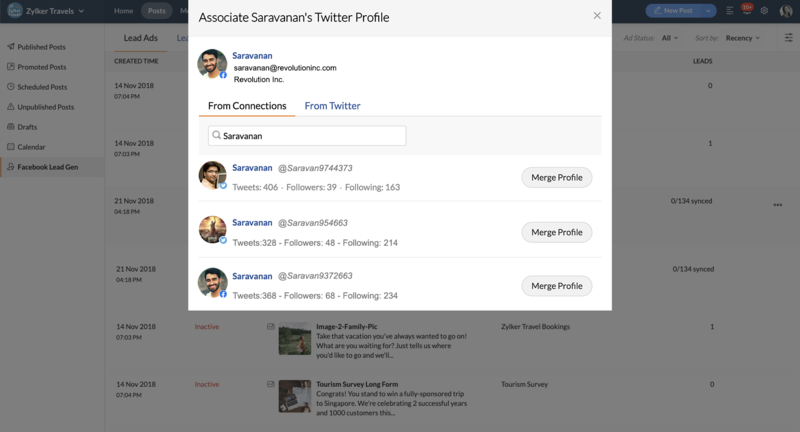 You can view it all within Zoho Social! What a fantastic feature!" Start doing more with Facebook Lead Ads, today.